This is the first post that I ever wrote on this blog. I thought it would be fun to bring a little blast from the past (9 months ago!). This is the best paper airplane we have ever flown and very easy to fly. Paper airplanes are a great activity for those days when you can not go outside or are confined to a small space, like the gym childcare area. 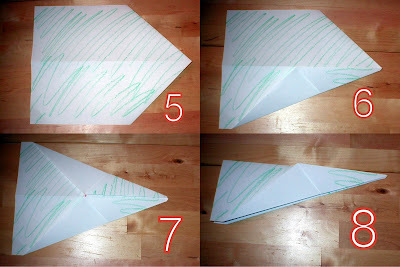 They are simple, you most likely have all the supplies you need on hand and are always a huge hit for any age. I did this with ages 2-4 years old. My 13 year old sister and 3 of her friends even tested it out for me. They had so much fun that they played with them for 3 hours and I was told they had a blast. They ended up naming their planes and having all sorts of competition. First, we had to add a little color before we started folding. Notice how the boys were all about getting it done as fast as possible. The girls were a little more detailed oriented when it came to coloring! Once that is done, the folding begins. Each step has a number next to the picture to make it a little easier to follow. I also colored the back side of the paper green, so you can tell which side is which while we are folding. Let’s begin! 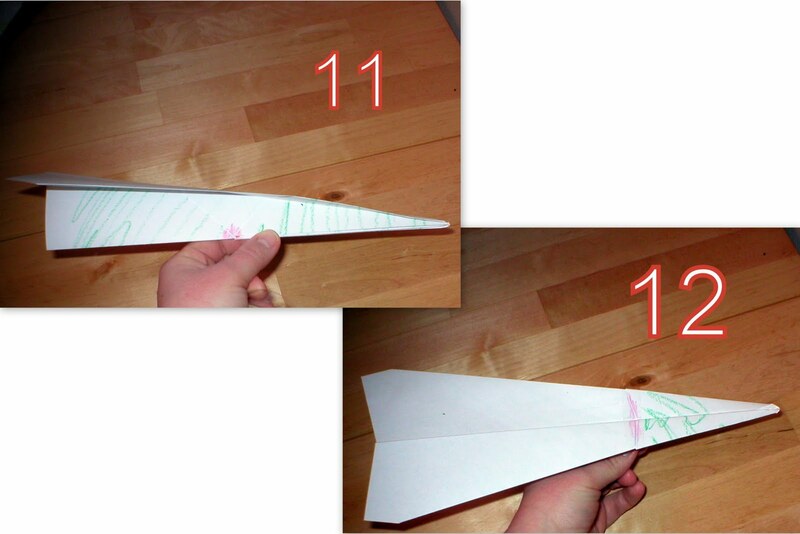 Each picture is number for the Step that it belongs to. For instructional purposes, one side is white and the other is green scribbles. If you would like a larger view, click on the picture. Step 4: Do the same to the opposite corner. 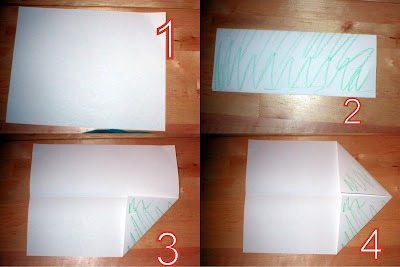 Step 8: This is what it should look like right now when it is folded in half. 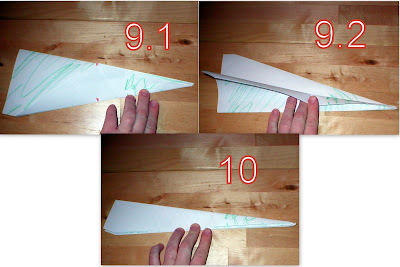 Step 10: Flip the plane over and do the same to the other side. Step 12: You also want to put a piece of tap on the top holding the two sides together. About where the red line is. Step 13: Have some fun! We did! Getting ready to have a throwing competition! ** This original post was posted on January 22, 2010. I rewrote it a little so it could match my formatting I have adopted over the past 9 months of writing my blog and moved some pictures around. At the time I thought it would work well to put 3-4 pictures together in one, but now going over it, I think it may be better to have the pictures separated.